Naspers [JSE:NPN] Chief Executive Officer Bob van Dijk has been working for years to solve a problem rivals might envy – getting investors to value his South African firm nearer to its $133bn stake in Tencent Holdings. A plan for a Dutch listing is his boldest step yet. By carving out its international internet businesses, including the 31% holding in the Chinese tech giant, for a listing on Euronext Amsterdam, van Dijk hopes to tap a bigger pool of capital and shrink a discount that’s been worsened by Naspers’ outsize presence on the Johannesburg Stock Exchange. "This will be the largest consumer internet business," in Europe and the third-largest company on the Amsterdam exchange, van Dijk said in a phone interview, noting that he expects to attract 2bn euros of investment just from index funds. The value of the Naspers offspring would likely trail only Royal Dutch Shell and Unilever NV on the Dutch market. The move makes sense, and might narrow the gap between Naspers’ R1.42trn market capitalisation and the Tencent stake, said Bloomberg Intelligence analyst John Davies. But the bigger challenge for van Dijk will be to show that the firm can strike gold with more of its investments. 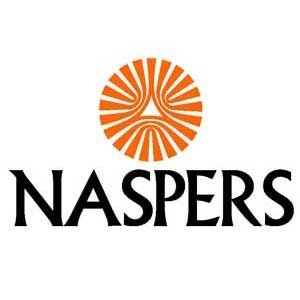 "The transfer doesn’t indicate whether Naspers can demonstrate a track record of investment success" after the transaction, Davies said in a note. Naspers might have remained a little-known publisher of newspapers and operator of pay-TV services if not for the decision in 2001 to invest $32m in an obscure Chinese web firm. While the success of the Tencent investment made Naspers the most valuable company in Africa, its market value suggests investors assign no value to its other businesses. Naspers’ quandary is similar to those faced by other companies that made hugely successful investments in technology startups that eventually overshadowed their operating businesses, such as the winning bets Yahoo! and SoftBank Group made on Alibaba. Van Dijk, CEO since 2014, has focused much of his attention on India and Europe and on e-commerce, delivery and online payments in his search for the next brightest ideas. He has about $9bn of cash to spend after he trimmed Naspers’ stake in Tencent last year and received proceeds from the sale of Indian e-commerce startup Flipkart to Walmart Inc. Among the holdings in internet businesses that will be included in the Amsterdam-listed entity are Russian social network Mail.ru, German food delivery business Delivery Hero and Indian e-commerce startup Swiggy. Naspers will still control the new internet unit by keeping a 75% stake, with the remainder making up its free float. The carve-out alone may not be enough to give Naspers the valuation bump van Dijk is seeking. The shares slumped 1.6% in Johannesburg. Tencent dropped 3% in Hong Kong. Ken Rumph, an analyst at Jefferies Group in London, said in an email that Naspers’ investment record outside of Tencent has been good, but that the company "will continue to struggle to persuade investors to value its management of assets at anything other than a discount." Still, the value of the newly listed company, yet to be named, could bump up against Europe’s largest tech firm, German software developer SAP SE, which has a market capitalisation of 121bn euros. Some investors have encouraged van Dijk to pursue listings, and he said on Monday he will look at other opportunities. His separation of pay-TV company MultiChoice this month focused Naspers entirely on consumer internet businesses. Van Dijk said he chose Amsterdam partly because it’s a "great place to attract talent". The listing requirements are very similar to Johannesburg and the company can keep the same management and board. Naspers’ executives are largely based in the Netherlands and travel extensively, as they seek to replicate the Tencent bet. Amsterdam has become attractive to companies as Brexit uncertainties weigh on the UK, including listings on the London Stock Exchange. Thanks to its Tencent holding, Naspers accounts for almost a quarter of the Johannesburg exchange’s benchmark index, up from 5% just five years ago. As a result, many South African institutional investors have had to sell the shares because the weighting exceeds their limit for single stock holdings, the company said. * Fin24 is part of 24.com, a division of Media24, which is a subsidiary of Naspers.